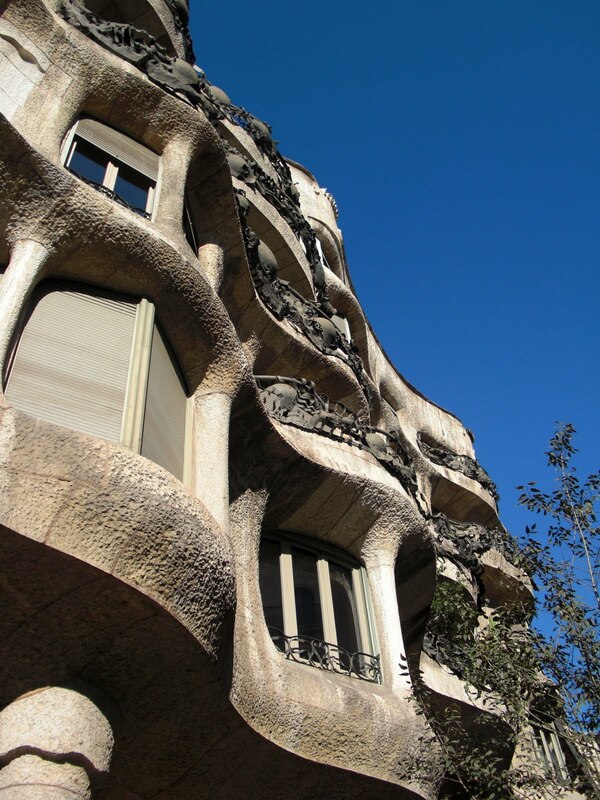 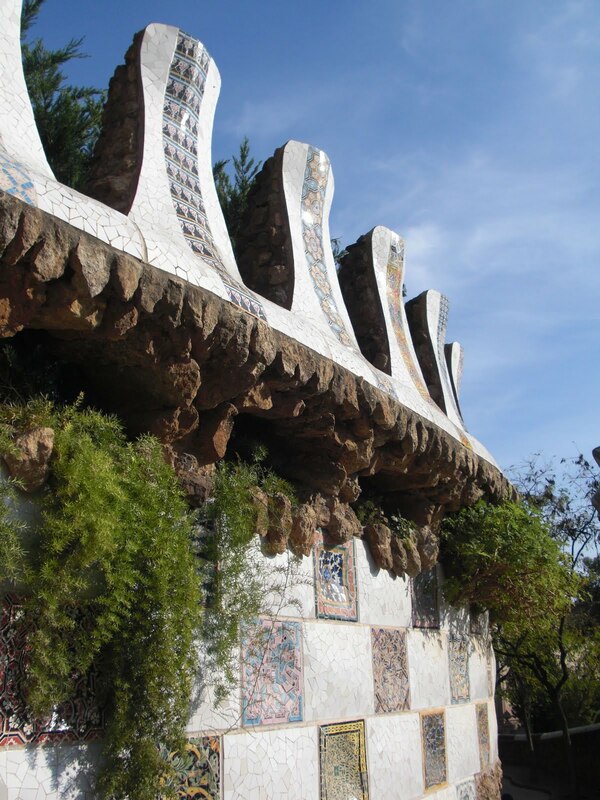 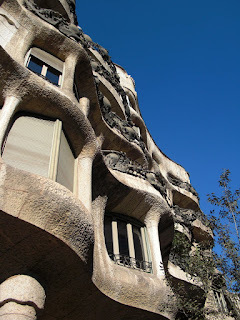 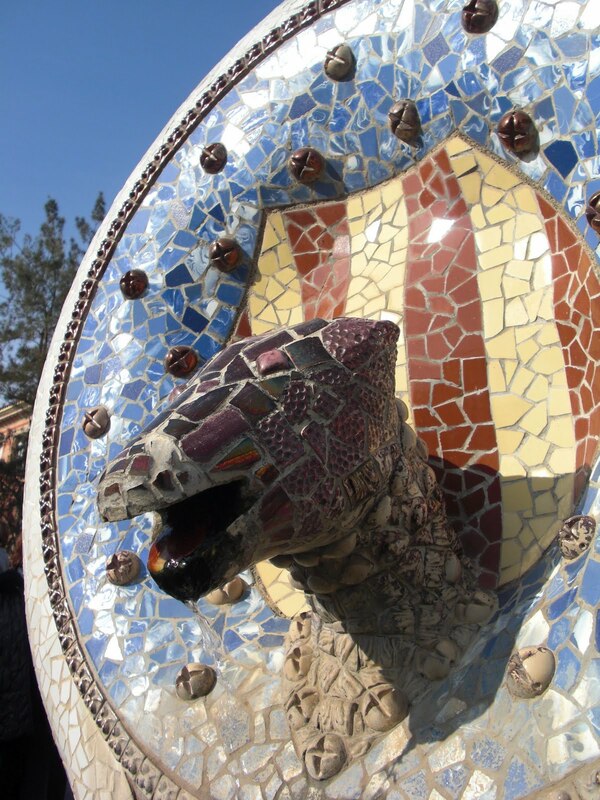 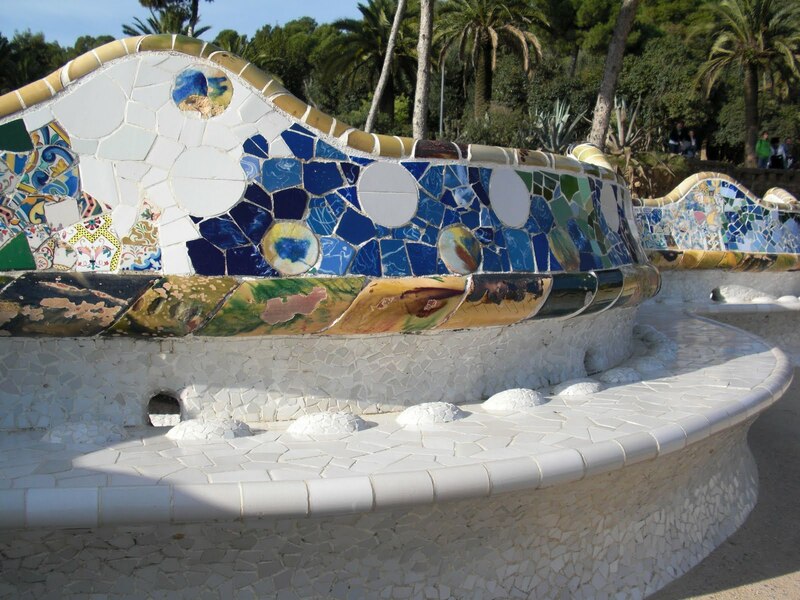 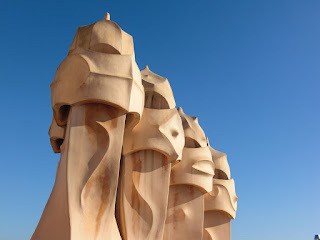 Originally intended to be a housing project, Park Guell failed to find buyers and remained uncompleted. 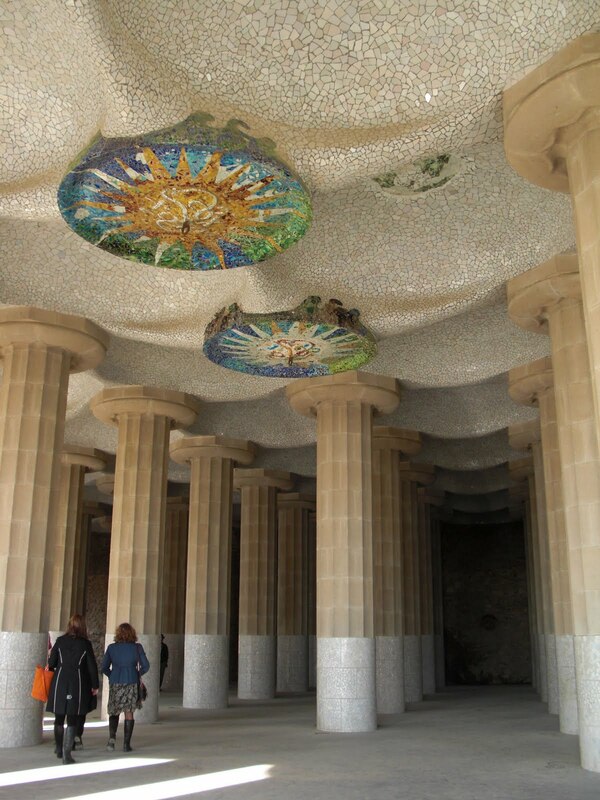 It was eventually given to the city of Barcelona for use as a public park, and it quickly became a symbol of the city itself thanks to Gaudi's marvelous amphitheatre set above a series of columns, none of which appear to be actually vertical. 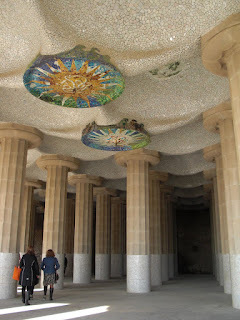 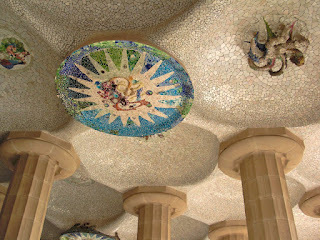 The ceiling of the columned area is like the floor of the sea above one's head, executed in mosaic tile. 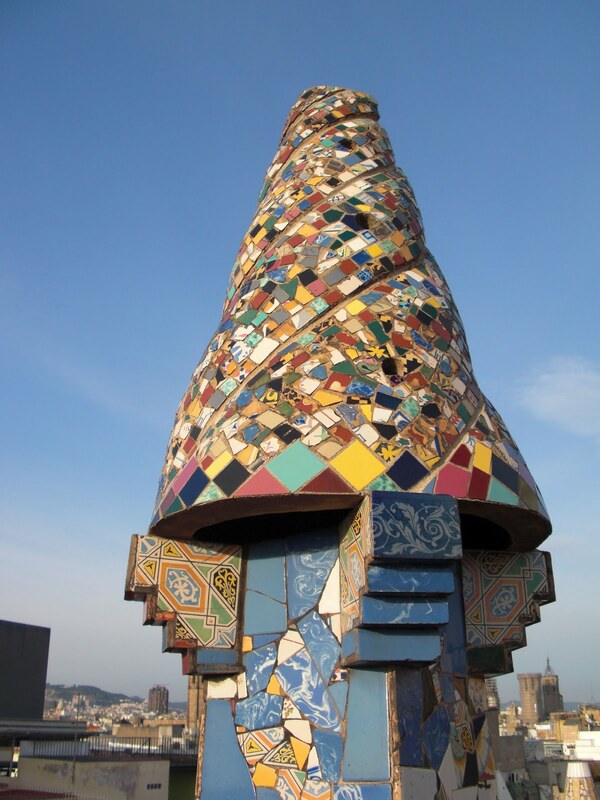 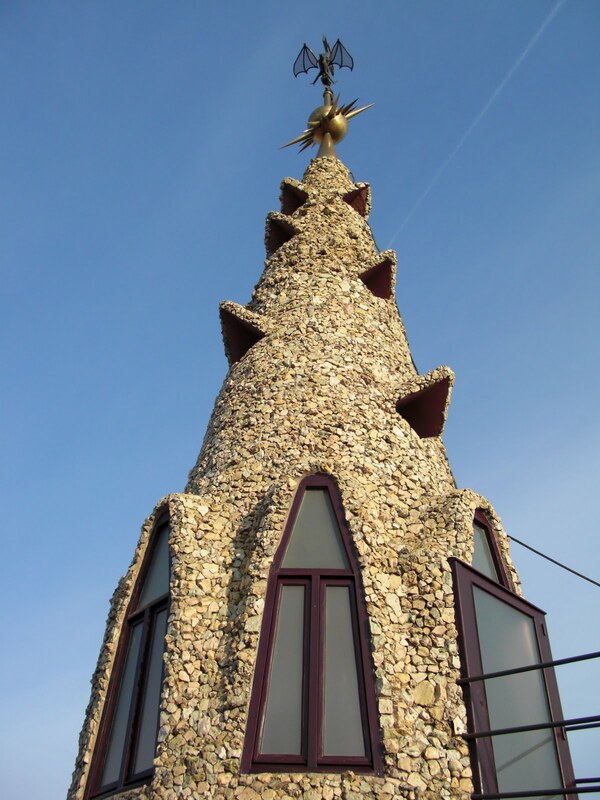 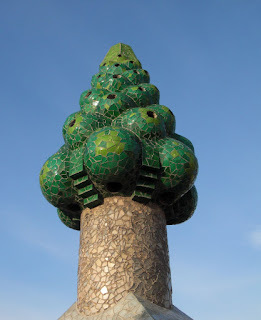 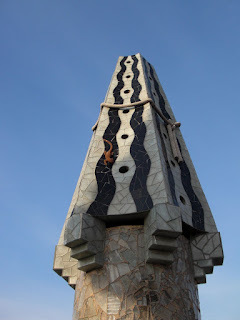 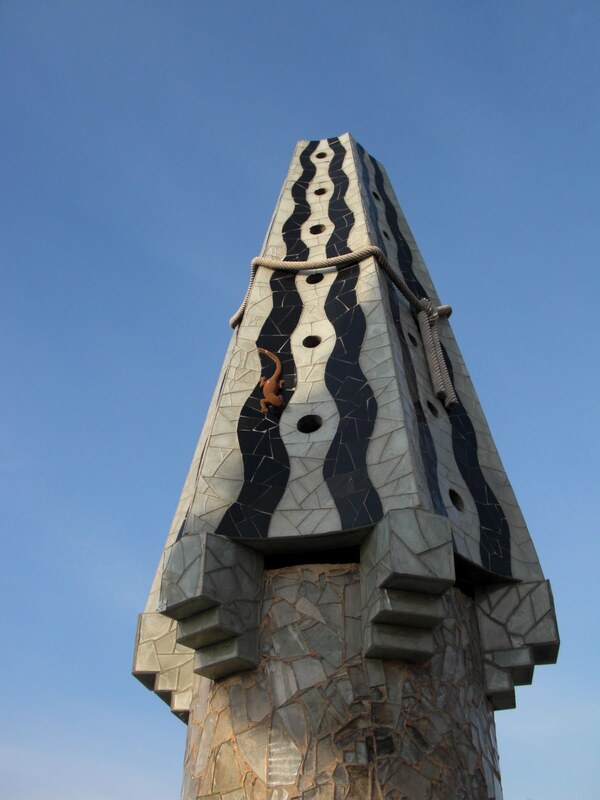 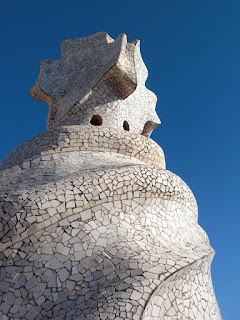 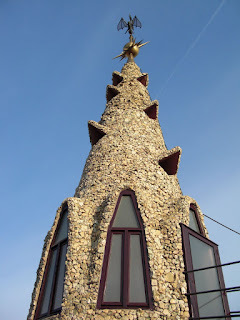 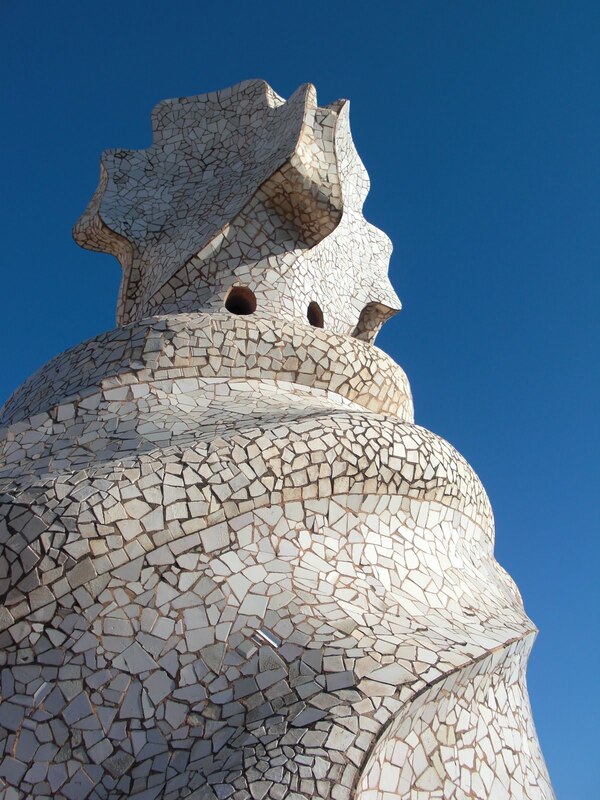 On the roof of Palau Guell, Gaudî created a magical space with his fanciful chimney tops and staircase towers, all covered in trencadis, or broken pieces of tile. Built by Antonio Gaudî for Eusebi Guell, Palau Guell was one of Gaudî's first commissions for a private home on a grand scale. 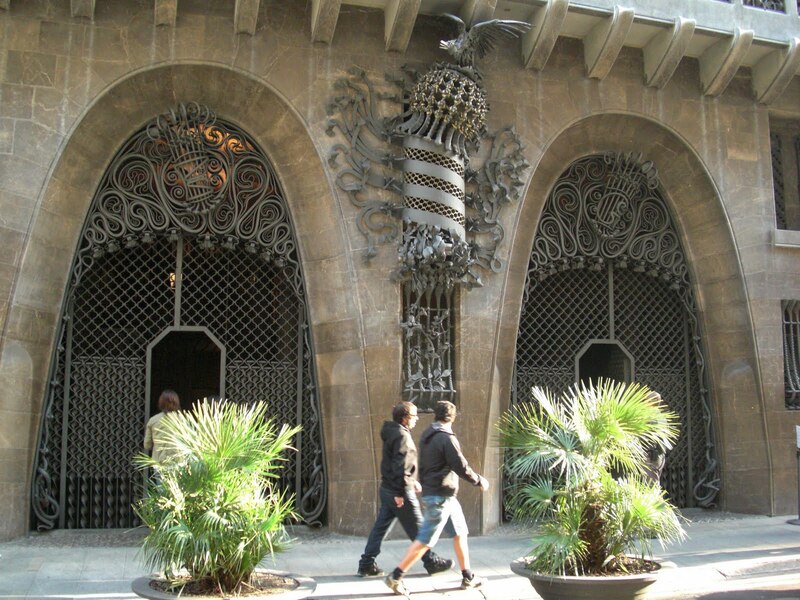 He designed the doors to follow the parabolic form of a suspended chain turned upside-down; as you can see, he did a lot more with the entrance than model a pair of parabolas.